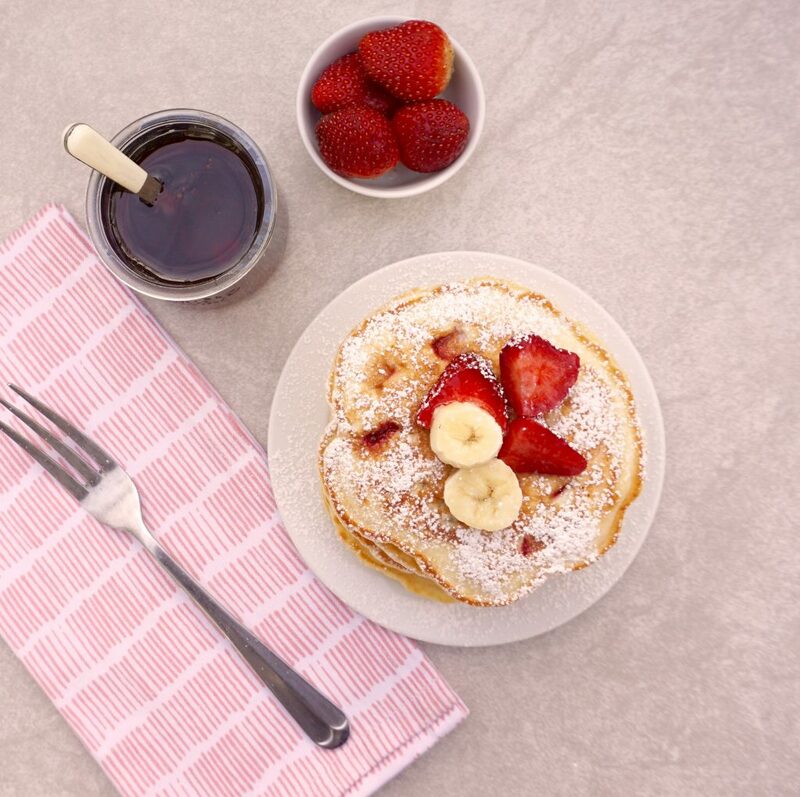 What’s better than a fluffy pancake for breakfast? 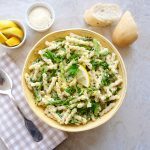 They are easy to make from scratch with ingredients that you most likely already have in your pantry. 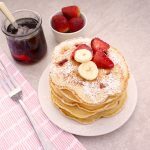 Strawberry Banana Pancakes bring the experience up a notch because fresh strawberries and bananas are baked right into the pancakes, making them fruity and delicious. 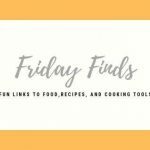 This recipe is a simple batter of eggs, milk, flour, sugar, and baking powder. It only takes a couple of minutes to put together and the pancakes cook pretty quickly. 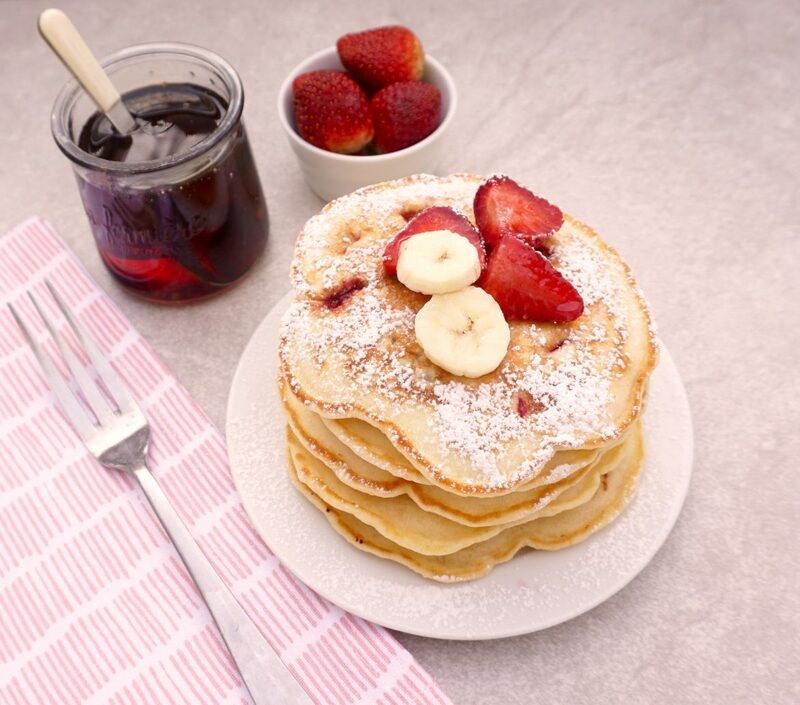 Strawberry Banana Pancakes would make a special treat for your weekend breakfast. If you have leftover strawberries and bananas make some Strawberry Banana Muffins to eat during the week! In a large bowl, mix the flour, sugar, baking powder and salt. In a small bowl, beat the eggs. Stir in the milk and vegetable oil. 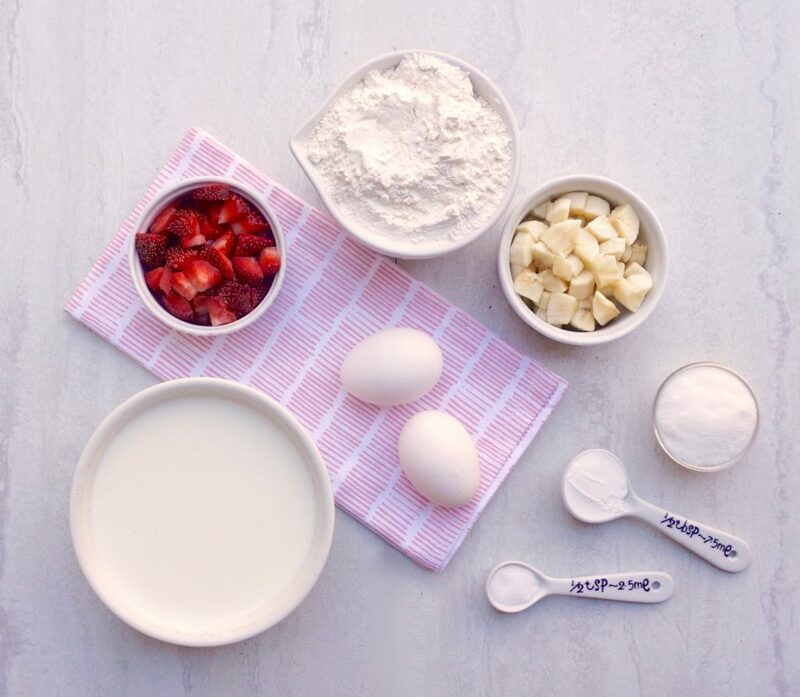 Pour the wet ingredients over the dry ingredients and gently whisk them together, mixing just until combined. Stir in the strawberries and bananas. Spray a griddle or a large skillet with non stick spray and heat over medium heat. Pour 1/3 cup batter onto the griddle for each pancake. Cook until the top of each pancake is speckled with bubbles and some bubbles have popped open, about 2 minutes. With a spatula, turn the pancakes over and cook until the underside is lightly browned about 2 minutes. Serve immediately or keep warm in 200 degree oven while you finish cooking the rest.